Democrats reversed course in the race to replace retiring Rep. Ileana Ros-Lehtinen (R., Fla.) this week after Donna Shalala's campaign announced a Fidel Castro sympathizer would headline a fundraiser. Shalala is running against Republican Maria Elvira Salazar in Florida’s 27th Congressional District, which spans a portion of Southeast Florida and includes Miami Beach. 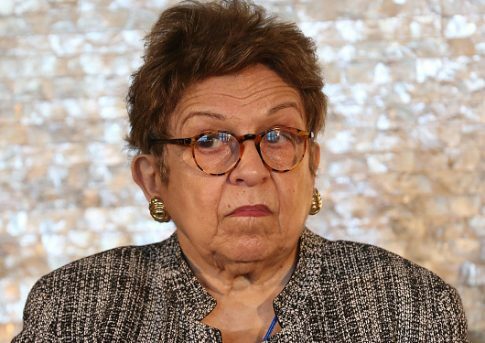 Shalala’s campaign initially posted a press release on its website announcing plans for House Minority Leader Nancy Pelosi (D., Calif.) and Rep. Barbara Lee (D., Calif.) to campaign in the district. Following backlash, however, the campaign ultimately announced Lee would not attend. Lee, who in June publicly expressed interest in running for the Democratic Caucus chair, has both praised Castro’s reign in Cuba and defended President Nicolás Maduro’s government in Venezuela. When Castro died in November 2016, the California Democrat called for the mourning of his loss. "We need to stop and pause and mourn his loss," she told The Mercury News. "He led a revolution in Cuba that led social improvements for his people." Castro’s brutal consolidation of power prompted hundreds of thousands of Cubans to move to the United States. Cuban-Americans constitute a plurality of voters in parts of Florida. Lee also wrote to President Barack Obama to oppose American sanctions aimed to counter the Maduro regime’s behavior in Venezuela, Politico reported. Many Venezuelans who fled to the United States settled in southern Florida. Unsurprisingly, those who fled have not taken kindly to the regime’s American sympathizers. South Florida’s Venezuelan population has grown by more than 200,000 since 2014, "directly" the result of Maduro’s vicious rule. Lee’s warm defense of the two Latin American dictators prompted Democratic candidate Debbie Mucarsel-Powell, who is running in a district adjacent to Shalala’s, to withdraw from the planned event. Democratic insiders explained the ill-advised fundraiser as Pelosi's idea, according to Politico. But according to Democratic and campaign insiders in Washington and Miami, Lee’s decision to come to Miami came at the request of Pelosi, whose visit was planned a month before. Lee’s appearance was relayed to the Shalala campaign through Washington Democratic channels on Monday night, said the sources, who asked to remain anonymous to avoid angering Pelosi. Shalala’s staff felt they were boxed in. They knew the Lee appearance could be problematic but this was an event that Pelosi was coming down for and they were afraid of slighting the Democratic Leader and the Democratic Congressional Campaign Committee. So staffers on Tuesday posted the campaign announcement on Shalala’s website the following day anyway, touting the arrival of Lee and Pelosi. Republicans had previously considered the district, which Hillary Clinton won by 20 points "unwinnable." Since then, Salazar’s fundraising success and Shalala’s missteps have prompted a surge in outside spending in a now competitive district. Shalala, a former Clinton Foundation head and University of Miami president, later condemned the Castro government. Following the uproar, the campaign also removed Lee from the event announcement's list of attendees. The press release on Shalala’s website now reads, "A previous version indicated that Congresswoman Lee would be attending the canvass launch. Congresswoman Lee will not be attending." This entry was posted in Politics and tagged 2018 Election, Donna Shalala, Fidel Castro, Florida, Ileana Ros-Lehtinen, Maria Elvira Salazar, Miami, Nancy Pelosi. Bookmark the permalink.